No one can deny the importance of trees to both humans and the environment. From performing basic functions like acting as a shade during the hot weather to being a wind breaker, trees have ‘proven’ their worth in our environment. However, trees are not only useful as shade or windbreaker, they help by providing oxygen, storing carbon, providing building materials, as well as stabilize the soil. Furthermore, trees help to trap dusts and absorb pollutants from the air thereby acting as a physical filter. 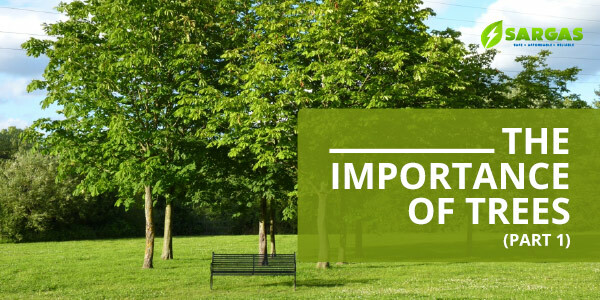 In addition to the numerous benefits of trees, they also absorb thousands of litres of stormwater which helps to prevent flooding and soil erosion. Trees also act as living places and food for species such as birds, insects, fungi, etc. Trees also serve as playhouses for children in the western part of the world and provide food for humans in the form of fruits. Trees help to indicate different seasons from summer to winter and spring. The appearance of trees helps to tell the particular season that we are in and also incoming seasons. Trees are invaluable to all living things and the environment and therefore, should be protected from extinction from the environment because it will spell unthinkable consequences for the world.